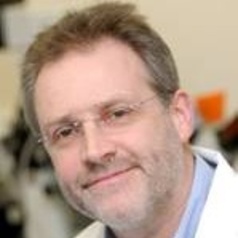 Finishing his degree in Physiology at the University of Sheffield 1995, Prof. St. John then completed his PhD entitled The role of mitochondria in male fertility at the University of Birmingham. It was at this same University where he was appointed as a Research Fellow at the Assisted Conception Unit, Birmingham Women's Hospital and Department of Medicine. In 2000, Prof St. John became a lecturer in Mitochondrial and Reproductive Genetics, University of Birmingham. Along with his research work, he also provided undergraduate and postgraduate teaching and supervision and divisional co-ordination of graduate studies. From March 2000 until January 2001, Prof St. John undertook a Sabbatical and Mellon Fellowship at Professor Gerald Schatten’s laboratory, Oregon National Primate Research Centre in Oregon USA. Prof St. John also completed an Endeavor Fellow placement at MIMR in 2007 – 2008, which allowed him to familiarise himself with the Institute and its research. He has numerous publications in international journals and reviews submissions for a number of journals and grant awarding bodies. In the UK, he had also advised Government, Parliament and the Royal College of Obstetricians and Gynaecologists on policy related to stem cells and reproduction. He also advised the Human Fertilisation and Embryology Authority on stem cells and embryo policy and reviewed licence applications. The overall aim of Prof. St. John’s research is to understand how the maternally inherited mitochondrial DNA (mtDNA) is transmitted, segregated and replicated as it passes from the mature oocyte through the early preimplantation embryo, the inner cell mass cells of the blastocyst and into those cells that give rise to all somatic cells of the offspring and primordial germ cells. The primordial germ cells give rise to oocytes that carry mtDNA molecules inherited by the subsequent generation. He is an inventor on a patent that regulates mtDNA transmission in cloned animals and stem cells.